open end - till late! PAY AS MUCH AS YOU CAN! 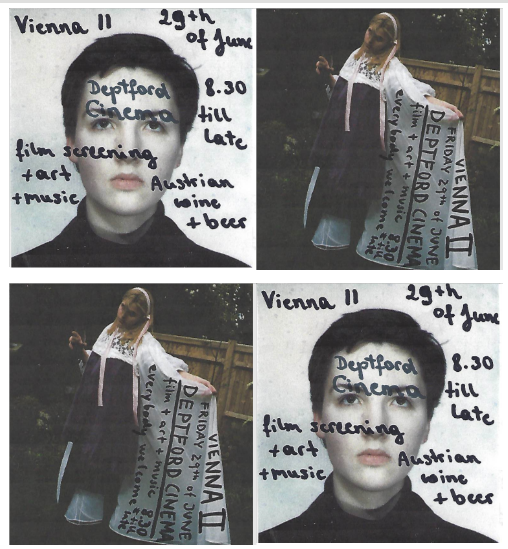 Even though the movie takes place in another Austrian city, Graz, this night is gonna be all about the Viennese spirit which means for us: dancing and drinking wine, mixed with art & culture. Come by for some good music, Austrian wine and a good chat with us! Graz. After his grandmother’s death (who he lived with since his parents died), Horst continues living in her flat and drawing her pension illegally to finance a relaxed life. His friend Toni, who has a secret affair with Horst‘s girlfriend, moves in as well, and for two years the two men seem to be getting away with their fraud when suddenly a challenge lies ahead. A local politician wants to congratulate Horst‘s grandmother for her anniversary birthday. Since Toni didn‘t take care of the household though, the two men only read the letter a few hours before the politician‘s arrival. What to do when you need to borrow a grandmother for about half an hour? Kidnap a famous actress from a care home, obviously. ‘Die unabsichtliche Entführung der Frau Elfriede Ott’ is a 2010 Austrian comedy by director Andreas Prochaska and is going to be shown with English subtitles.